You will find that most success stories begin with passion, love, and enthusiasm for a craft. The story of Fastrak Oil & Lube is no different. As a young boy, Mike Barradale (Owner/Operator) found that passion for the automotive industry on a sunny day in 1962 when he went car shopping with his father. They walked into a local Chevrolet dealership and as soon as he laid eyes on a brand new 1963 Corvette Sting Ray, he was hooked. He knew that automobiles would be his calling. Fast-forward 25 years and Mike (or Mr. B. as we like to call him) was finishing up a ten year run as an ASE certified mechanic at a local automotive shop. What he had learned during that stretch was invaluable, however, he was growing frustrated with certain aspects of his job. He felt that there were ways to service customer’s vehicles in a much more timely fashion and some of the pressure sales tactics that were being used were much too aggressive for his taste. It was at this point in 1987 that he decided it was time for a change. 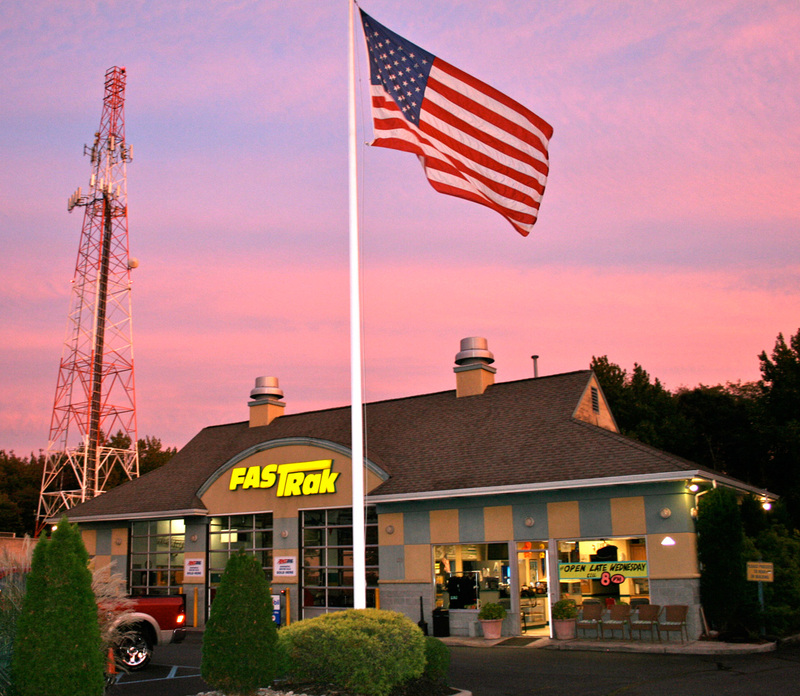 In April of 1987, Fastrak Oil & Lube was born in a small, two-bay shop in North Middletown, just a few blocks from where Mr. B. grew up. While he spent the majority of his time in the back of the shop ensuring each and every vehicle was serviced properly, his wife Valerie operated the front desk and brought to life what would become a key ingredient in “The Fastrak Experience.” This ingredient, of course is customer service. Together Mike and Valerie saw to it that every vehicle they serviced received the highest quality workmanship and that each customer left with a smile on his or her face. Jump another 29 years forward and that brings us to today. Believe it or not, the ideals that Mike and Valerie built Fastrak Oil & Lube on in 1987 still exist. And the beautiful thing is that even though Fastrak has grown into a dynamic three-bay shop down the road from its original location, it is still just as intimate as ever. This is because Fastrak Oil & Lube is not just in the automotive maintenance business, but rather the people business. With 54 years of automotive enthusiasm and 29 years of catering to each and every customer under our belts, we feel that speaks for itself. We sincerely thank you for stopping by our website and we hope to see you in 3,000 miles! A Thank You From Mr. B.